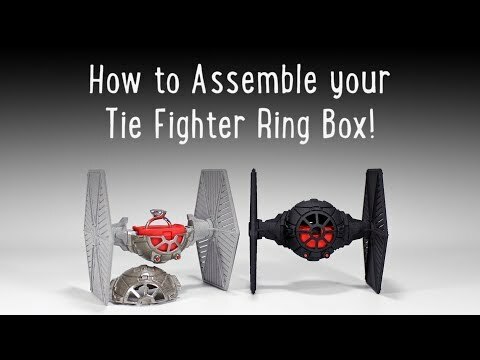 The Ring Box and the Wings are sold separately. 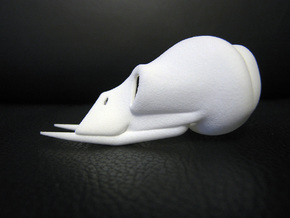 Ring not included. 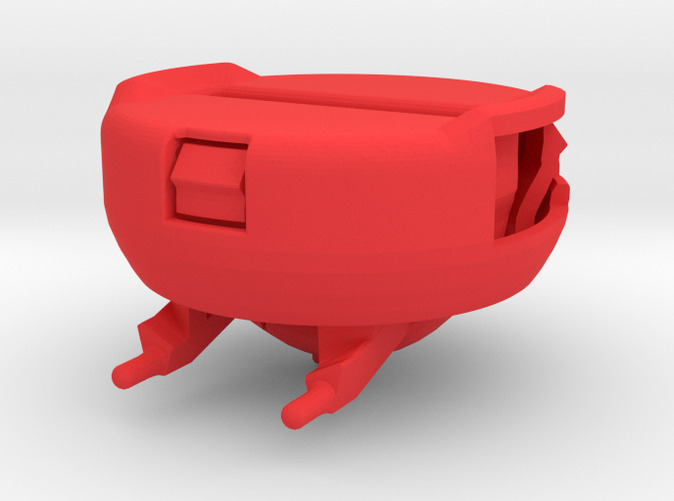 INSERT RING HOLDER for the NEW "Star Fighter" Ring Box. 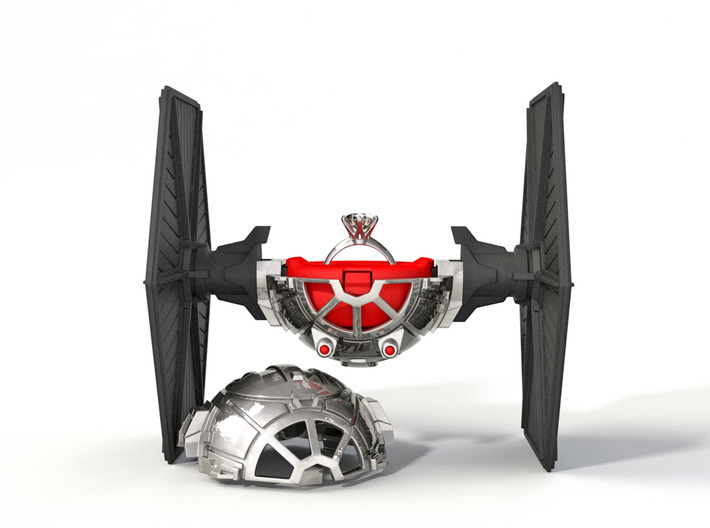 The RING BOX AND THE WINGS ARE SOLD SEPARATELY in the Shop. 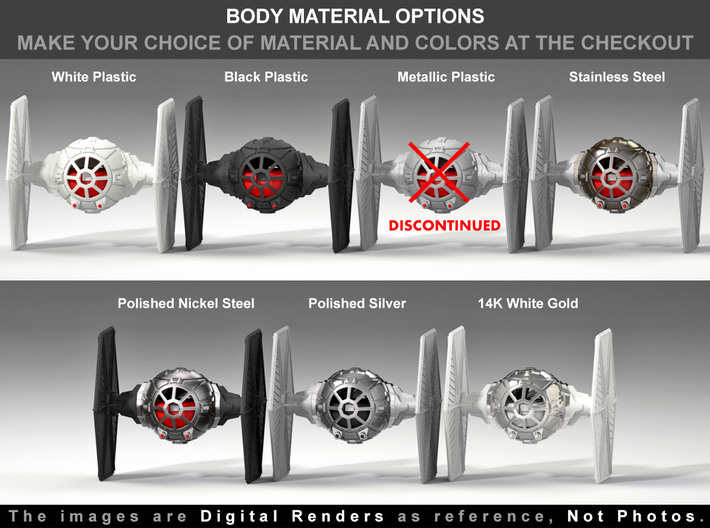 This is an special and exclusive Insert Ring Holder, that fits in the NEW STAR FIGHTER RING BOX, on sale in the Shop. 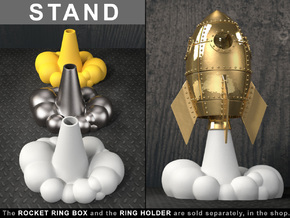 With this Ring Holder, and also the Ring Box and the Wings, on sale in the Shop, you can complete your set, and turn it in a exclusive and perfectly functional Ring Box. 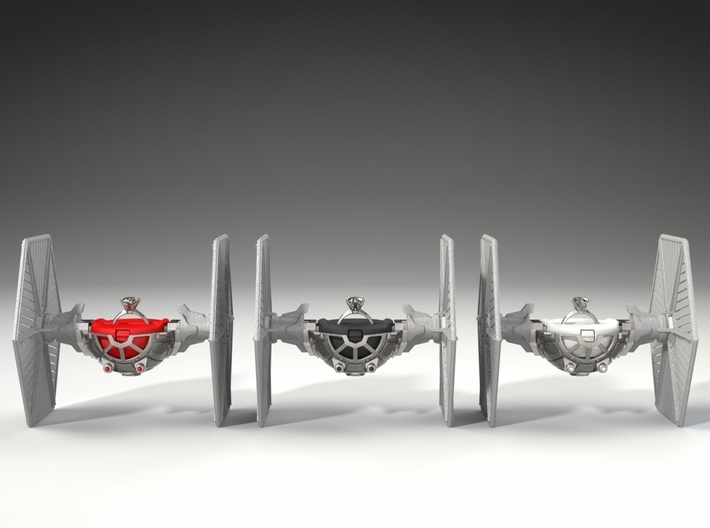 The "Star Fighter Ring Box" set, is awesome as a Proposal, Engagement and Wedding Ring Box. 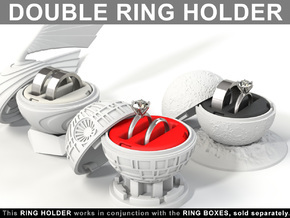 This listing includes only the "Insert Ring Holder", the WINGS and the RING BOX itself, are sold separately, in the shop. 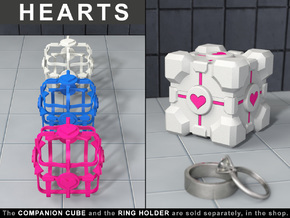 ● This purchase includes only the Insert Ring Holder. 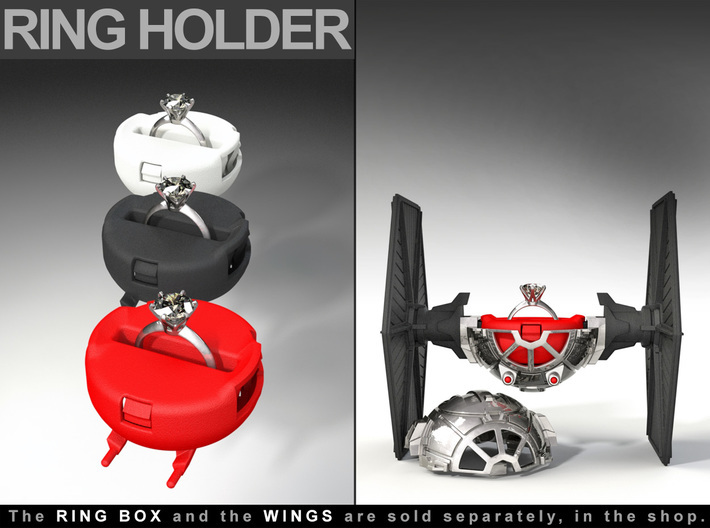 The Ring Box itself and the Wings, are sold separately, in the shop. 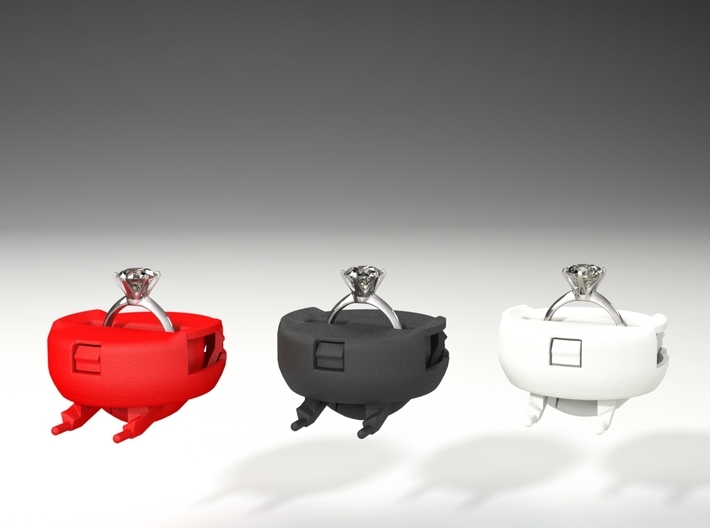 ● The Latch System only works with the conjunction of the Ring Holder and the Ring Box.